AAA State of Play Blog: How to Choose Playground Equipment? Selecting a Playground Equipment is certainly not an easy task. Are you also not able to figure out which play set is appropriate for your playground? You are not alone. Majority of U.S. residents fail to buy the right equipment for their park. Here are certain factors that you must consider before making a final purchase decision. There are various types of equipment like see saws, dome climbers, swing sets and slides that run high on fun factor. These are made of material like metal, aluminum, wood and plastic. You should select the one manufactured with high grade material and is durable in nature. Moreover, it should be strong and can easily withstand adverse weather conditions. Do not neglect the quality of playground equipment. Before you buy any one of them, make sure the manufacturer has constructed it as per the guidelines defined by ASTM and CPSC. Purchase the equipment from IPEMA certified manufacturer who offer superior quality play sets to the customers. Another thing that you should consider while searching for right playground equipment is the safety of kids. It should be installed with sturdy and strong bars, railings, hinges and other anchors at required places. All the pointy edges in the playground should be properly covered to reduce the risk of injury to kids. We hope that above mentioned factors would help you out in choosing the appropriate play set for your commercial park. Along with play sets, make sure you install requisite furniture like planters, shade, cycle stands etc. for the convenience of visitors. 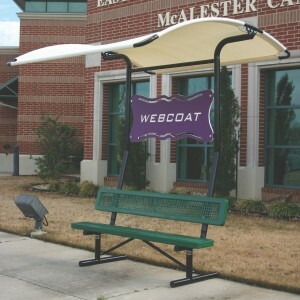 Whether you buy shade structure or picnic table, ensure that it can be placed outside for years on end.